The apron denotes the level you are within Freemasonry. There are whats known as the three degrees when you become a Mason. Your 1st degree is Entered Apprentice. When you join you wear a plain white apron. You then progress to becoming a Fellow Craft and wear a white apron with two blue rosettes at the bottom, you then progress further to become a Master Mason. This is a white apron with a blue border, three rosettes and tassels. It took 12 month for me to become a Master Mason. Each degree has a different ceremony that you go through. Each ceremony teaches you more about Freemasonry, you never stop learning!! Now I’m sure you’re wondering about the secret stuff!! Well, people say that we are a secret society, we are not. If we were I wouldn’t be writing this blog. Freemasonry is a club, a hobby, nothing more than that. The main purpose is to raise money for charity. There are elements of what we have that we don’t publicise. Yes you can call them secret but they are kept secret really by tradition. If you go back to Freemasons started. They were Stone Masons, highly skilled people. Most of them could not read and write. This posed a problem with their training, if we gain a qualification today we get a certificate. Back in their day they couldn’t issue certificates because very few people could read them, so they had to invent a way of proving how qualified they were. They developed a system of passwords, signs and “handshakes” to let potential employers know what level of training they had. These were obviously kept secret and only revealed to Masons when they became qualified. As a mark of respect we don’t disclose these either. Everything else we are free to discuss. So I know it’s probably a bit of a let down but that’s it I’m afraid. No big secrets!!! 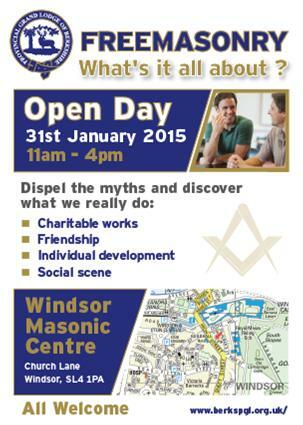 As a society we are very open, you can visit lodge open days and have a good look around. You can ask whatever questions you like and you will get a very honest answer. All Freemasons are encouraged to speak about their membership and will gladly help you to join. This is me as the Junior Deacon of my lodge. Hi to all and welcome to my blog. As you know I am a freemason, this blog is all about my “Masonic Career”. I hope you find it interesting and I hope by reading this you will join me in learning more about Freemasonry. 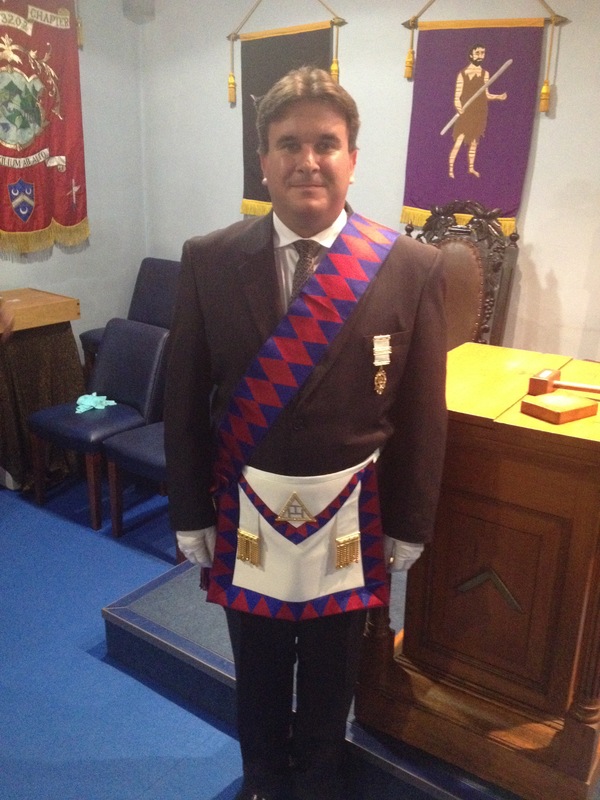 Throughout my blog I will keep you up to date with what I am doing and what its like to be a Mason. I am not going to mention anything that may spoil the experience of people wanting to become a Freemason but I will certainly tell you as much as I can about it. I have always been very curious about Freemasonry and wanted to find out more. For some reason it was something that I felt I wanted to join but like most people didn’t really know why. Lots of people had said it was a secret society and I have heard lots of rumors about secret handshakes, passwords and ceremonies. This all seemed a bit strange to me but I was curious to find out more. I studied many websites and was very impressed with the donations made to charity by various lodges, I also liked the social aspect of Freemasonry. So my enthusiasm to find out more grew! It was after this during a shift on an Ambulance response car (my day job!) I got talking to a colleague who I was working with for the first time. During the conversation he mentioned to me that he was a Freemason, what an opportunity!! We were together for 12hrs and now I had plenty of time to find out more and ask questions. At the end of the shift I was sure it was something I wanted to do, my colleague and new friend invited me to look around his lodge and meet a few other Masons. I went for the visit and filled out the application form. What struck me was how friendly and welcoming everyone was. I was shown around the various lodge rooms and had a look around the archives. The various lodges were very impressive, full of symbols, pictures, banners and lots of things that obviously meant something. I got a sense of how “complex” freemasonry is and that there would be lots to learn and understand. I have to say some of the explanation to the meaning of objects in the lodge seemed a bit strange, now that I understand what they mean it all makes sense. My first visit was great, I spoke to lots of people who were very encouraging and I went home excited about the prospect of joining. A while later I returned to the lodge to have an official meeting with members of the lodge I was going to join. They told me about the lodge and what was involved. 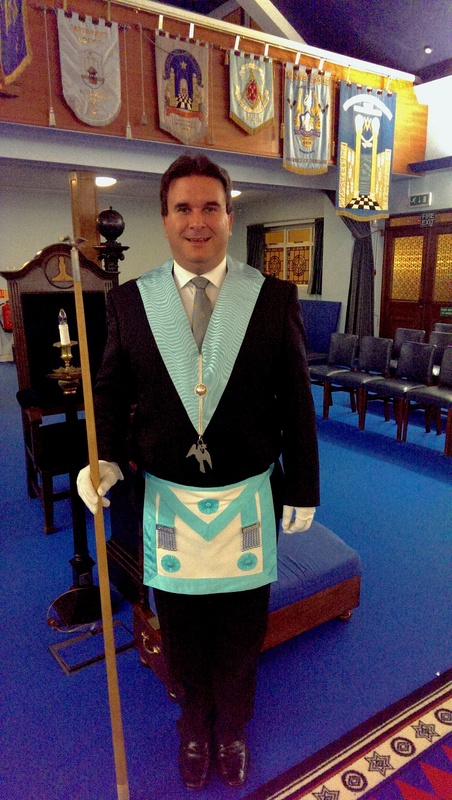 One of the comments that really impressed me was the fact that Family and work must always come before Freemasonry. They also wanted to make sure I had the support of my Wife and family. A little while later I received a letter inviting me to attend my first meeting or my “initiation”. This is where I started to wonder what was going to happen, the term “initiation” is not a term you use every day. Again it did seem a bit weird because no one tells you what happens when you are initiated. I have to say I had a mixed feeling of curiosity and nerves about the whole thing. So eventually the evening arrived of my initiation. Everyone I had spoken to said it was going to be a brilliant evening and night I would never forget. I can honestly say I can remember it as if it happened yesterday. As a candidate you are made to feel as though you are the star of the show. During the ceremony you are told about Freemasonry and what you are joining. Different people tell you about the history and the origins of Freemasonry. Its was a great experience and I’m glad no one told me what was going to happen because it would definitely spoil the surprise. I went through the ceremony and all of a sudden I was a Freemason and yes I was wearing an apron. I was taken to a seat and sat down in the meeting as a Mason, it was a strange feeling. The meeting continued just like any other committee type meeting. The meeting ended and we went down to the bar and had a drink. I had a constant flow of people shaking my hand and congratulating me. We then had a meal together. Following every lodge meeting you sit down and have a meal, it is called the Festive Board. As I was the new initiate I got to sit on the top table with the Master of the lodge. It was a great night of speeches and welcoming messages. I will always remember the date at it was November 5th, I walked out of the lodge surrounded by fireworks going off. I know they were not for me but they did add to the experience. It was a brilliant night, I had only known these people for a few hours, when I left it was if I had known them for years. I had never been made to feel as welcome anywhere as I did that night, I knew there were many good times to come. Here is the official Youtube clip giving you more info of Freemasonry.